Sell your Old Stuff for Cash! Mazuma, Mobilephonexchange.co.uk and Phonerecyclers.co.uk are three of those websites that help you turn your old mobiles into cash! You simply find your device and state the condition in order to find out the purchase price. It usually takes 2-4 working days to process the device, before the payment is issued. However you might find its offers way too low. 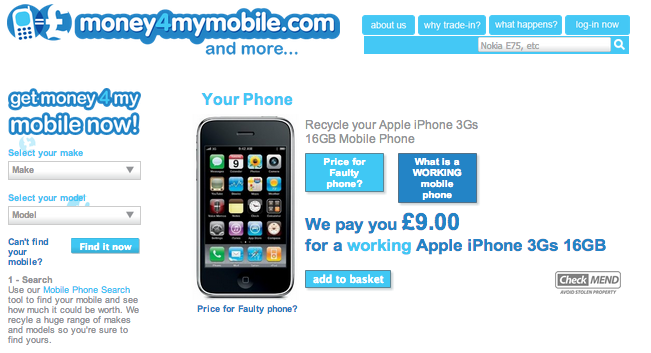 For example they offer just £5 for a working iPhone 3G 16gb! So it’s up to you to decide if it makes sense to sell or not. If your mobile is not listed on the website or if it is not registered in the UK or Europe they will not offer payment. Visit Momox in case you want to sell books, CD’s, DVD’s, video games (whatever from Wii, Xbox, Gameboy, PlayStation or PC games). 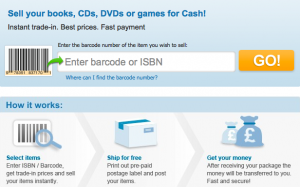 You simply enter the bar-code number or the ISBN of the item (book, cd, dvd or game) you wish to sell and it lets you know immediately about the purchase price. You’ll need to reach the minimum trade-in value of £10 to be able to check out. After that you print out the delivery note, bundle all items together with the delivery note into a package, affix the address sticker to the package and then post your package from your nearest post office free of charge! The money will be in your account just a few days later! Find more Tips on selling Old CDs and DVDs Online.